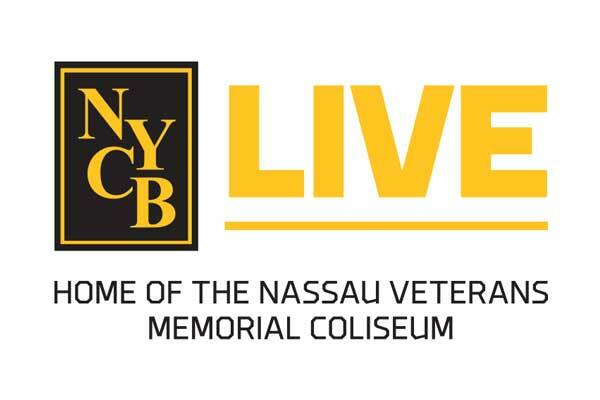 The New York Islanders will make their regular season NHL debut at NYCB LIVE, home of the Nassau Veterans Memorial Coliseum, this Saturday, December 1 at 7 p.m. in a matchup against the Columbus Blue Jackets. Islanders Legends Clark Gillies and Bob Nystrom joined a behind the scenes tour today of NYCB LIVE’s venue enhancements. The doors at NYCB LIVE will open for the game at 5:30 p.m. and special commemorative hockey pucks will be available for purchase at various team shop locations. Fans can follow the New York Islanders and NYCB LIVE on social media for a chance to win one.